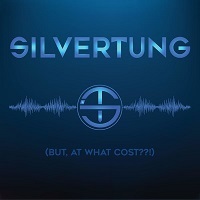 Returning with their fifth album, four-piece high energy rock ‘n’ rollers Silvertung have offered up seven new tracks. Since their formation, the four-piece have earned themselves a loyal fan base through going out and touring continuously. Their music has led to a number of support lots with the likes of Shinedown and Slipknot and their significant online presence has seen their reputation increase since their 2013 debut album ‘Devil’s In The Detail’. With a lead single from this album already doing the rounds on YouTube and radio, what does the latest offering have in store? Album opener ‘Dodging Bullets’ kicks in with a heavy drum beat and overdriven guitar riff. With an edge of aggression, the vocals cut through the mix and the music rolls on providing the framework. The chorus lifts with a more opened guitar riff and the vocals taking on a higher register than the verse. It’s a catchy hook that pulls the listener in. The initial aggressive undertones of the vocals are repeated in following track ‘Feel Inhuman’. More of a gutsy punch than the opening track, the guitar tone is dirtier and the vocals have a raspy tone. The straight forward rhythm section keeps the foundation in place and provides a foot stomping backbone to both the verse and chorus sections. ‘World Gone Mad’ gives a heavier edge to the album, the crunching, staccato power chords of the guitars work alongside the bass and drums to accentuate a pounding rhythm. The vocal lines mimic the disjointed nature of the rhythm before the chorus kicks in whereupon a bigger vocal harmony thickens the texture and lifts the music a little higher. There’s a brooding weight to ‘World Gone Mad’ that separates it out from the previous two tracks. ‘Wise Up’ follows on with the heavier side to the bands sound, however the feel is further progressed with the vocal delivery. The words are shouted and delivered with an uncontained aggression and the music matches this. At only two minutes forty-five, it’s the shortest offering on the album and comes across as a pressure valve letting off the pent-up steam. It also, unfortunately, has a slightly forgettable quality to it. When ‘Black Sunset’ kicks in, there’s much more going on making for a more interesting track and giving ‘Wise Up’ a sense of being a bit of a filler. ‘You’re Fine’ features a piano in the introduction combined with the overdriven guitars giving some extra texture and sonic interest. With its structure, content and delivery, this track owes a lot to the Nu-metal style of the late nineties. A solid melody line underpins the guitar riffs and rhythm of the track and the pounding drums propel the music forward. The vocals are once again laced with a lot of anger and angst telling the listener to ‘get over it’. It’s one of the stronger tracks in the latter part of the album. Closing track is the aforementioned lead single, ‘Done My Best’. Easily the best track on the album, there’s a combination of all the stylistic elements that have gone before, however the production on it sets it apart. While all the tracks are well produced, each instrument is clearly identifiable and there is clear room for the vocals and natural feel of the music, there is a more polished quality to ‘Done My Best’. It has a brighter sound and feel to it making it an ideal lead single and it’s obvious to see why it’s getting the online attention. The rhythmic side of the track takes on an almost rockabilly like groove akin to the sound of Volbeat. The vocal style on the other hand have a more tamed, focussed energy to it similar to Shinedown’s delivery. This is definitely a track that will serve the band well live as well as on record and it’s a shame that there isn’t more of this type available throughout the album. Overall, ‘But, At What Cost?? !’ is a good album, it’s short and punchy and delivers a number of good tracks. The main standout focus is the lead single and album closer but tracks such as ‘Feel Inhuman’ and ‘You’re Fine’ contribute to showcasing the bands style and ability. Where it falls short of being better is the lack of more diversity and tracks of the calibre of ‘Done My Best’. There’s a lot of anger contained in the record, but it’s not been sufficiently focussed throughout the tracks into great song writing. It is however, a good album for turning up loud and letting out any built-up stress. ‘But, At What Cost?? !’ is released on 15 February. You can get your copy HERE.